Activate the Vizit List Search feature from the Site Collection Features page. Choose "Site Actions" > "Site Settings". Under the "Site Collection Administration" group, choose "Site Collection Features". Click the "Activate" button located to the right of the "Vizit List Search" feature. Add the Vizit List Search Web Part to the desired Web Part Page. Choose "Site Actions" > "Edit Page". Click the "Add a Web Part" button in the desired Web Part Zone. 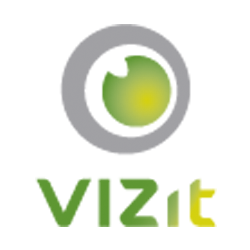 Choose the "Vizit List Search" Web Part from the "Vizit" Category and click "Add". Configure the Vizit List Search Web Part for "Advanced Search". Expand the "Vizit List Search" Web Part menu and choose "Edit Web Part". In the Web Part Settings, select one or more lists which will be presented in a Drop Down menu in the Web Part. Change the "Default Mode" to "Advanced Search". Check the "Allow saving search conditions " checkbox. From the Page tab in the ribbon, choose "Stop Editing". Use the provided drop down menus to build a query on a document library. Click the Save icon, specify a name for the search, and check the "Default" checkbox. Check the "Share with all users" if desired. Test your Default Saved Search by reloading the page.